Revamp your website and online presence –when was the last time you refreshed your face to the world? Find out what your audience really wants. This is the year of the niche. Find that one super-fan (the person who always comments on your content, who likes everything…who engages) and interview them. Figure out what that person wants and develop your strategy accordingly. Growth and conversions will follow. Have well-defined quantitative and qualitative goals and a clear path for attaining them. Part of your strategy should include a focused examination of the content you produce. You should aim to strike a balance between longer form (blogs over 1,000 or 2,000 words) and shorter form (blogs between 600-900 words). Longform posts keep the audience on your site longer, possibly linking to other content. Interrelated topics also tend to boost your search engine ranking. So, while incorporating long-form content could mean you’re blogging less, it also means you’re blogging more strategically. Groups are where it’s at in 2018. We mentioned niches and specific audiences earlier, well, in 2018, create a Facebook group or start a weekly podcast or lead a Twitter chat that reaches out to a specific group of followers (people like that super-fan). Even if your group starts small, the word will spread among similar super fans, and by the end of 2018, you could have a huge group of dedicated fans, which could lead to your broader goals like better ROI, more conversions, etc. Note that when it comes to engaging with your groupies, you need to do so on a consistent, strategic basis. 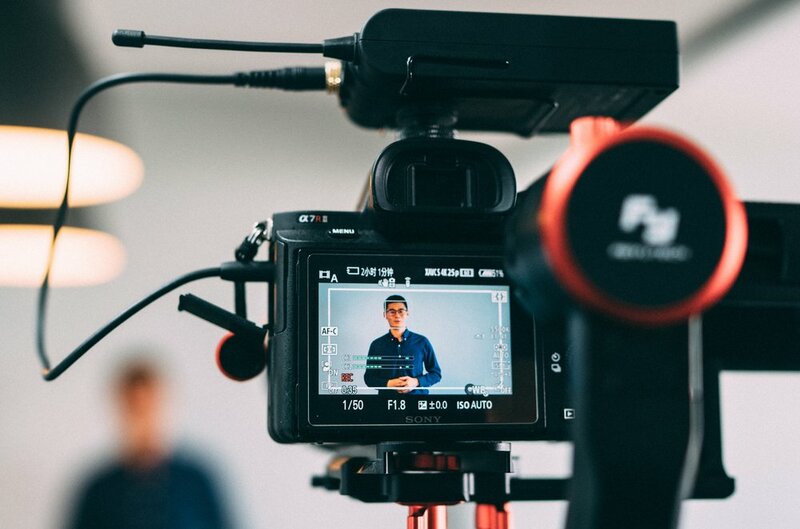 While video is still an important aspect of your marketing strategy, you need to ramp things up by live streaming content. Live streaming captivates audiences on a higher level than video. As with all things related to your 2018 marketing resolutions, you need to have a strategy. Plan to do live video every week…ideally at around the same time. So, to recap, the 2018 marketing resolution buzzword is strategy. Know what your audience wants; target your content to your niche audience. Revamp your website. Come up with a blogging strategy that incorporates long-form content. Embrace the group mindset, and go live…literally and figuratively. Make sure all of your efforts are directly correlated with your professional goals. If everything you do in 2018 is purposeful and thoughtful, the results of your efforts will speak for themselves. Your marketing resolutions for 2018 should be all about strategy. If you’re ready to get strategic and results-oriented with your marketing but aren’t sure how, click here to contact us, The Storyteller Agency, and let our talented team and years of experience guide you to greatness in 2018.